ZR16 Zoning Map application and the Zoning Handbook generate a greater active interest in zoning by presenting visual data and a lot of content in a clear and concise manner. Redlands, California—Today, Esri announced that the Washington, DC, Office of Zoning (DCOZ) has released a new 2016 Zoning Handbook and interactive Zoning Map. Esri partner Blue Raster, based in Arlington, Virginia, developed the map using the ArcGIS platform. Through their internal partnership, Zoning and the DC Office of Planning, realized a revision was long overdue. This is the first time the Zoning Regulations and Zoning Map have been comprehensively revised since 1958. The handbook and map are accessible from DCOZ's website. "The new ZR16 Zoning Map application and the Zoning Handbook generate a greater active interest in zoning by presenting visual data and a lot of content in a clear and concise manner. Blue Raster effectively worked to translate DCOZ's vision into an application we are all proud of," said Nyambi A. Nyambi, chief technology officer, District of Columbia Office of Zoning. 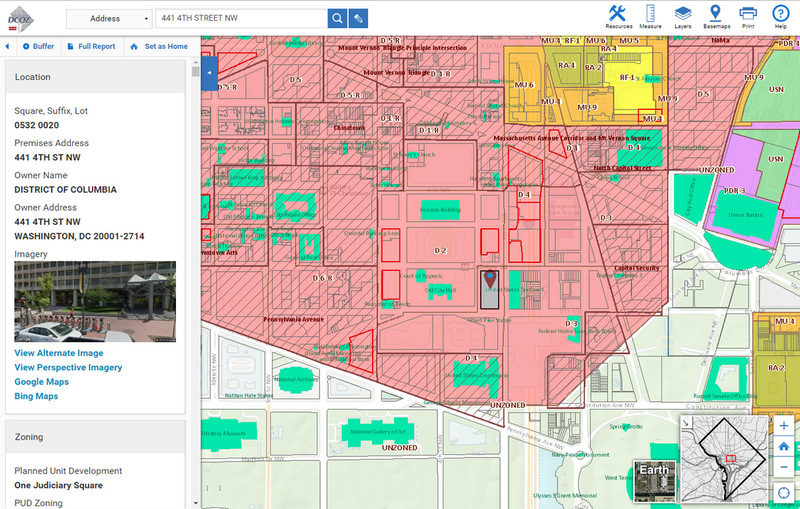 "The team at Blue Raster is very excited to work with the DC Office of Zoning to deliver the new interactive mapping application," said Stephan Ansari, principal, Blue Raster. "Ready access to the new Zoning Regulations empowers DC government, citizens, and developers to continue the historic revitalization of our nation's capital." The new Zoning Regulations will become effective on September 6, 2016. "The Zoning Handbook will help residents in the DC area understand and use the updated Zoning Regulations," said Anthony Puzzo, Esri. "Blue Raster created an intuitive interactive map app to make the vast amount of important zoning information that is associated with properties in this area more accessible."